Download Todd Davis' media kit to learn more about Todd Davis and Franklin Covey's next bestseller Get Better. Available now. Todd Davis is the author of FranklinCovey's newest book, Get Better: 15 Proven Practices to Build Effective Relationships at Work, which sold over 30,000 copies in under 100 days and debuted at #4 on the Wall Street Journal Bestseller List. He is also a co-author of Talent Unleashed: 3 Leadership Conversations to Ignite the Unlimited Potential in People. Davis has also served as FranklinCovey's director of recruitment and led a team responsible for attracting, hiring, and retaining top talent for the copmpany, which included over 3,500 employees. Davis has over 30 years of experience in human resources, talent development, executive recruiting, sales, and marketing. He has been with FranklinCovey for over 20 years, and currently serves as chief people officer and executive vice president. He is responsible for FranklinCovey’s global talent development in over 40 offices reaching 160 countries. For over 25 years, Davis has delivered numerous keynote addresses and speeches at top industry conferences, associations, corporate events, and for FranklinCovey clients, many of which are Fortune® 100 and 500 companies. His topics include leadership, personal and interpersonal effectiveness, employee engagement, talent management, change management, and building winning cultures. 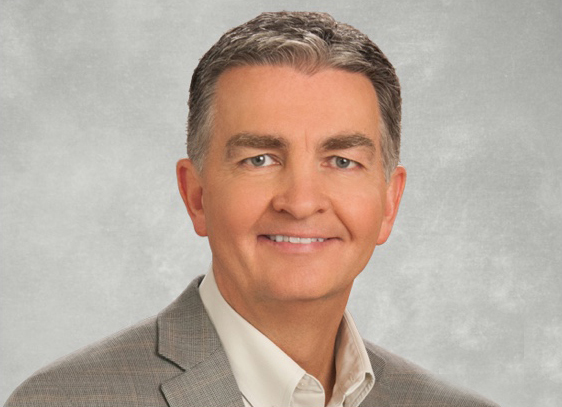 As the former director of FranklinCovey’s Innovations Group, Todd led the development of many of FranklinCovey’s core offerings containing the company’s world-renowned content, and he continues to contribute to the development of new offerings. Davis has served on the Board of Directors for HR.com and is a member of the Association for Talent Development (ATD) and the Society for Human Resource Management (SHRM). Watch Todd Davis share proven practices to build effective relationships, at one of these internationally respected conferences. WOBI is a hub of business content, a unique place where cutting edge knowlwdge and experiences coverage to inspire and prepare its community to face their professional challenges. SUCCESSLive brings together speakers who provide inspiration for transformation to all parts of your life: health, wealth, creativity, career and personal relationships. Chief Learning Officer is a multimedia publication focused on the importance, benefits and advancements of a properly trained workforce. The Association for Talent Development(ATD) is a professional organization developing the knowledge and skills of employees in organizations around the world. HR.com is the largest human resource social network. HR.com equips HR executives with knowledge to develop career paths and increase their market value. Check back soon to see where Todd Davis will be speaking next. Read and watch Todd Davis speak about building relationships on these popular media outlets. Read insights on building effective relationships by Todd Davis on FranklinCovey's blog. The first step in reengaging employees is identifying those who have disengaged, because hardly anyone is going to come to you to let you know that they have emotionally quit their job. Apart from when they stop showing up for work, emotional disengagement can be a little more subtle and a little more difficult to uncover. Click the button below to read more. There's this phrase that almost everyone in HR and a lot of professional people in general have headr for yeras: 'Get the right people on the bus.' Beacuse it has been around fro a long time, it has become knind of a hackneyed phrase that everybody uses. It's not a bad phrase at all, Click the button below to read more. I've been reading a lot about 'toxic employees' lately, whether it's how to manage them, work with them, or even identify them. First of all, I need to clear something up. 'Toxic employees' is a pretty dramatic term, too dramatic for me. If someone is truely 'toxic', you fire that employee, plain and simple. Click the button below to read more. Sign up now for news, offers and updates about Get Better.